Finding qualified drivers is essential to the success of carriers today, but it can be an expensive and time-consuming process. Recruiting departments sink a large amount of money and effort into attracting candidates through traditional advertising methods, which offer minimal results and a limited ability to measure return on investment. Modernizing the tools and techniques you use to find new candidates can increase your ability to measure return on an ever-increasing investment. One of the most effective marketing and recruitment strategies that you should have in your recruitment arsenal is drip marketing. The drip marketing software and services that we at Tenstreet provide allows your business to easily track ROI, automate the busywork in your recruiters’ current workload, and, most importantly, improve candidate response rates. So how does it work? Drip marketing is a sequence of emails and text messages that are automatically sent out to candidates on a pre-scheduled basis and/or based on specific criteria you set. As you gain new applicants, they are added to the drip system, and can evolve through several different campaigns designed to create interest in your open positions or to re-engage them in active recruitment, depending on where they are in the application process. The steady “drip” of emails and texts that are automatically customized and sent out ensures that your brand stays front and center in qualified candidates’ job searches, and can also be used in retention programs designed to keep your current drivers engaged with your company. The effectiveness of traditional direct mail methods has been on the decline for the last nine years. Response rates from generic direct mailing have dropped by 25% over that timeframe, leaving the current response rate sitting at just 1%. Most email blast software currently on the market won’t improve this response rate; the bulk of them only have very basic tools that recruiters can use to reach their target audience. The majority of recruiting software programs are behind the curve in allowing recruiters to automate messages and utilize texts, and, instead, only allow recruiters to send out individual emails and generic email blasts to their candidate pools. Many recruiters find that responses generated by generic email blasts are usually not quality leads, forcing them to sift through hundreds of applications that don’t meet their criteria. Tenstreet’s drip marketing tools allow recruiters to target a specific audience and address a specific need with each campaign and can significantly reduce the workload and expense involved in finding and hiring quality drivers. Tenstreet also enables you to take advantage of multi-channel marketing campaigns and schedule messages to reach out to your candidates through emails, phone calls, and text messages. You can utilize the entire range of communication options in one campaign, configuring a first message to be sent via email, a second by phone call, and the third over text. These kinds of targeted emails and text messages over such a broad range of media make it easy to keep your brand in front of your candidates and continue to generate interest in your open job positions. Candidates can also share these emails and texts with friends or family who may be interested in applying at your company, which allows you to reach a wider audience. The system allows you to easily comply with spam regulations and provides an easy unsubscribe option for the recipients of your campaigns. Tenstreet can help you navigate the process of creating easy and effective automated drip marketing campaigns. This will allow your company to send out regular, targeted emails and texts to candidate pools, with no effort on the recruiter’s end. We work directly with clients every step of the way to create a drip marketing campaign that will best fit their needs. By virtue of our scale and experience, we at Tenstreet can help you focus on recruitment methods that work, and avoid the stumbles that plague a lot of campaigns. Most candidates have a 40% to 50% reapply rate within a month, which means that your business is likely spending a lot of time and money trying to get the attention of new candidates when it would be more effectively spent by re-engaging candidates who are already familiar with your company. While working with you, Tenstreet will help you to define each campaign’s goals and objectives, decide on the frequency and number of messages for each campaign, and use previously untapped information about your candidates’ interests and preferences (such as their target job, smoking preference, and driver availability) to better target your ideal candidates and generate the results you’re looking for. Additionally, Tenstreet’s drip marketing will allow you to more accurately track your ROI by quantifying not just your direct response rate, but also your attributed response rate through our integrated marketing and application software. Often candidates don’t click directly on links embedded in an email, and instead, remember your brand and come back to your website or application via Google after a few days, or even weeks. 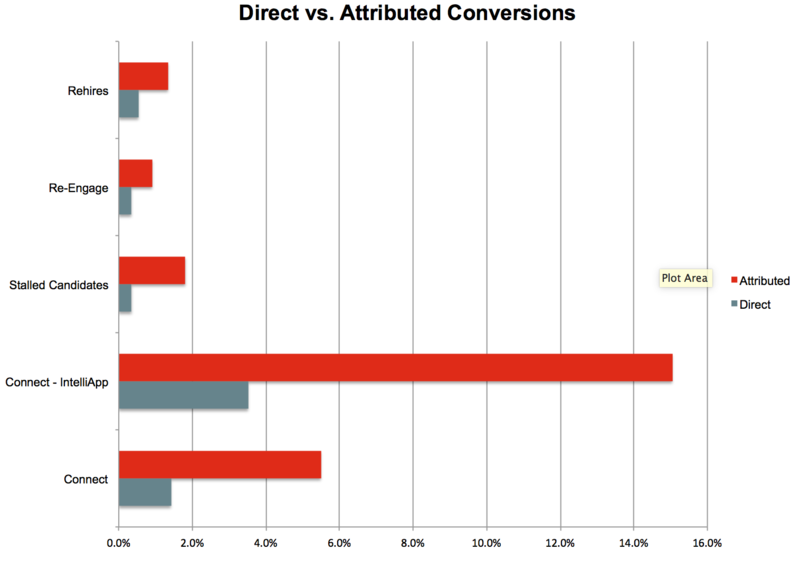 This makes tracking attribution and ROI difficult. Other email marketing software like Mail Chimp, Constant Contact, MyEmma, Aweber, and others simply can’t track this type of attribution because they don’t have access to the data. Tenstreet’s integrated system enables you to track attribution across all campaigns and driver applications to better understand the real impact that your marketing dollars have on your business. Tenstreet campaigns have been shown to be more effective for our clients in generating responses than less targeted methods like email blasts, and can take your recruitment to the next level by helping your recruiters more effectively pursue every qualified driver in your candidate pool. Tenstreet’s integrated system enables you to track attribution across all of your campaigns and activities to clearly understand the real impact your marketing dollars have on your business. Tenstreet campaigns have been shown to be more effective for our clients in generating responses than less targeted methods like simple email blasts, and can take your recruitment to the next level by helping your recruiters focus on every qualified driver in your candidate pool. Looking for more info on this program and pricing. I am usually available in the morning hours Eastern Time. Excellent, we would love to answer any questions you have Brian! We will be in touch later today.